Your windshield offers protection and comfort. It must also deal with a wide range of serious threats on a daily basis. It’s up to most challenges, too, but sometimes life throws things your way that your windshield just can’t handle. A rock was thrown from a vehicle in front of you while driving through Denver, CO, for instance. These incidents can lead to chips and even cracks. It’s tempting to let those issues ride, but that’s unwise. 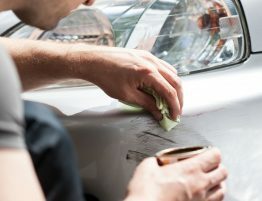 It’s important to consider auto glass repair as soon as possible. Why is that? While a chip might seem static, and a crack might be holding stable for the moment, that’s not going to be the case for long. In most instances, they grow, and they do so quickly. All it takes is a temperature change, and the flexing created within the glass is enough to start the growth process. A single chip in your windshield is not going to hamper your visibility, it’s true. However, what happens when that chip creates a crack that spreads across your field of vision? What if it grows beyond that? Reduced visibility through your windshield is a threat to your safety and life, but also to other drivers on the road. When you think of the protection offered by your windshield, chances are good you think about it blocking bugs, dirt, and debris. You think about it blocking bitter winter winds, and about it helping keep heated or cooled air in your car. It does all that, but it is also important for the structural integrity of your vehicle, and can play an important role in rollover protection. It cannot do that if it is compromised by a crack. Whether your windshield has been struck by a rock, or something else has happened to cause a chip or crack to form, repairing it is vital. Auto glass repair experts, like those at A Plus Auto Glass, can offer an exact fit replacement with auto glass just like the automaker used originally. 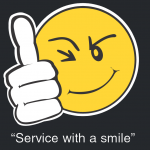 Also, we can offer expedient service to help get you back on the road as quickly as possible without sacrificing quality or your peace of mind. We invite you to call us today at 303-680-0983 to learn more about our auto glass repair and replacement services. How Are Deep Scratches on Car Doors Fixed?